Location: In a field, gazing at the stars and howling at the moon. 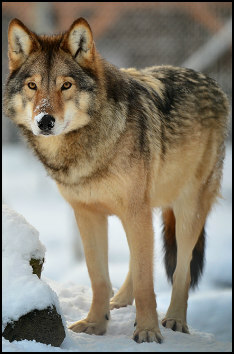 Kiowa is a wolf pack that has been around for many, many years. It lives and flourishes in De'Khan forest. It only receives about three to five months of warm weather. In the other months it is usually cold, cloudy and covered with snow. 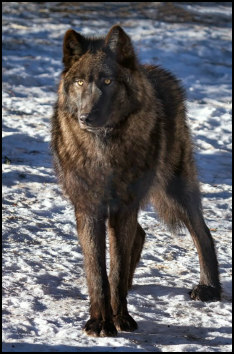 Kiowa had been run by the same bloodline of alphas since it had been established. Some of those alphas were good leaders, others not so much. One thing that remained constant, over the years, was the bloodlust that ran through some of the alpha bloodline's family and even in some of the pack members themselves. The once caring, and loving pack slowly started to become one that was more malicious and evil. Pack members turned on one another more often and large numbers of casualties began escalating. Some believe it to be a curse placed upon them. Others believe some are simply born with the "dark" trait. In recent years, an the current Alpha by the name of Reynu sought to try and rid his beloved pack of evil doers, those who he believed were Shaded. 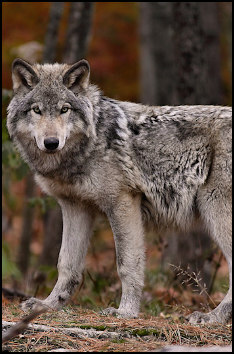 Wolves that showed uncontrollable signs of bloodlust and evil were outcast and unwelcome. That is until one mysterious night Reynu was found, along with his mate, by one of their trackers, near the riverbed, with both their throats completely ripped out and their bodies mutilated. It seemed the Alphas had been ambushed and taken out. Reynu and his mate, Kenjah, left behind two young pups, Vitani and Jag, and his brother, Zuya, who was also Kiowa Pack's Beta. Naturally it was Zuya who stepped up and became Kiowa's new alpha. It is said that since Vitani is the eldest, out of Reynu's last litter, once she finds a mate and becomes of age, she will be able to take her rightful place as the pack's alpha after challenging Zuya, or having him peacefully step down. Things changed drastically under Zuya's reign. Wolves that craved bloodshed and lived to torment were now welcomed with open paws. Zuya has made it known that he only wants the best, strongest, fastest wolves to be a part of his pack. He's begun to allow others to take out the "weaker" wolves with no hesitation. He plans to expand and overtake any neighboring wolf packs. 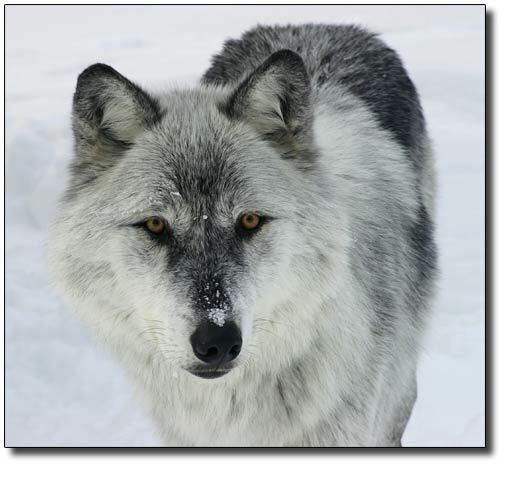 In order to survive in Kiowa, wolves needed to adjust. It quickly became a pack of "eat or be eaten." It is rumored that Zuya was the one who killed their beloved alpha, Reynu, though no one knows for sure. Those who were suspicious and questioned Zuya's loyalty to the pack are now dead. It has been about two years since Zuya has taken over Kiowa. His niece, Vitani, has grown and become of age. She's grown to hate the way her uncle has chosen to run their pack and has vowed to herself that she will take over and make things right. Deep down, however, she knows Zuya will never willingly give up his spot as alpha, even if it is her birthright. Zuya's comfortable in his position and seeks to find a suitable mate to help him rule the pack he has established, and is proud of, with an iron paw. He has made it clear on numerous occasions that he plans to make this reign a long one. The opposing wolves of Kiowa need to play their cards right if they want to overthrow the current alpha and his followers. They need to lay low, plan and gather followers in secret if they want to survive. Shaded wolves need to make the choice of embracing their inner darkness or try to hide their true self in order to stay "pure." Chaos will unfold. Trust will be tested. Kiowa's fate is in the paws of the pack. Feb 7, edit: Hi guys~! The link to the main roleplay page is located above (right under the picture, and also if you click the picture). It is now open and accepting. We are looking for new roleplayers to add to the BOP family~! Plot twists are welcome! Creative minds are heavily encouraged to join! Newbies to a wolf roleplay are encouraged as well! I’d be interested as well! && Great. I'm waiting to see if a few more people will be interested, but once we get more, I will definitely link you to the thread(s). Do you have any questions about it so far? "Pave your own path, and be fearless"
Background : Bhaltair was born under the rule of Reynu, he grew up along side the siblings. His father was a warrior and his mother was a hunter, but he jokes he got he really got his grandmother's genetics. 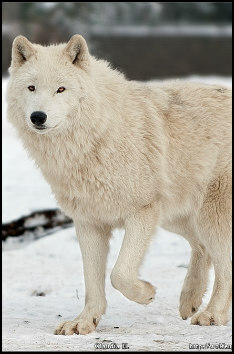 She was a sweet white wolf who was a Inyanga. She is long past, but he took after her and was a big softy. He had the body of a warrior, but preferred to be with the sitters and Inyangas. While his siblings were sparring and beating each other up for kicks and giggles to see who were stronger, he was learning from the older wolves, learning to care for pups playing with them. One might say he would be a wonderful father one day, but he has never really taken an interest in wanting to have a mate. It's not that he's interested in the males, he just hasn't found anyone and was more focused on learning how to support and care for the pack. He was there for his family when they hurt themselves, supporting them and cheering them on and giving them confidence. When he became an adult, he settled in the sitter position to watch all the pups of the pack and teach them how to become the most successful in whatever route they wished to go. Personality : He is openly sweet and caring, not really bothering what others might say. Back in the day, he never stood for bullying and would stand up for others. These days, he only really can pick up the pieces left behind from the aggressor. He hates that he has to just sit and watch other be mean and bully. He hates that Zuya encourages blood shed and fighting. But, he must. The times have changed. He learned how to fight from his siblings, they wanted to make sure that he could fend for himself and make sure he didn't get left behind as everyone became colder and angrier. While his soft exterior never really changed, he did form a defensive wall around his heart and tried not to let harsh words hurt him. If pressed to prove himself strong, he would take the challenge and never let him personally be bullied. He took pointers from warriors, which one could say to help keep pups safe if ever needed, but it was also to help keep himself safe. Extras : He's still, ultimately, a big softy and encourages everyone to do their best. Background : Ifrit wasn't born in the pack, but he came to it with his parents back when the previous alpha reined. He was young then, but he remembered how the previous one ran things and prefers it, but he wouldn't dare tell a soul that. He respects Zuya, he is the alpha, but he would be lying if he said he didn't miss how things were before. He hates that he can be more inclined to be angry. With most of the pack becoming more aggressive, it taps into his aggression and he has a harder time containing it. A part of him hopes Vitani will challenge Zuya, he would stand beside her for sure as traditionally she and her younger brother are the true heir. But, he does have his doubts. He sees no sign in her doing such or even being near aggressive enough to so much as match Zuya's strength. Perhaps, though, maybe Jag when he is old enough. Personality : Ifrit is kind and caring, but only for those he is close to. While he will protect his pack, he does have favorites that he is more inclined to show his soft side too. He definitely has a shaded part of him, but it only shows when he is fighting or hunting, pretty much only if blood spills and he's angry enough. He is aware of it, but wants to be a good boy. He isn't the type to play with the pups or play fight, he would rather spar or relax and conserve his energy for when he is needed. Ifrit does like to take jogs around the territory to keep himself in shape and has no problem throwing around his weight. He may not be the biggest wolf, but he's a thick muscled wall of fur and he knows it. He is a bit sexist, believing that males are stronger than females which is why he doubts Zuya's niece would dethrone him as alpha. He still respects a female and female warriors, but he still believes males are ultimately stronger and more leader material. Extras : Ifrit has no particular side between Zuya or Vitani and Jag, but if a challenge were to occur he would be swayed more towards the siblings. Until then he follows Zuya. Background : Relic was born to Kize, she has a few siblings but they have left to pursue their own lives. Her father had been a warrior and died when she was very young, so she doesn't remember much. Her mom never speaks of him so she learned to just never ask. She was always an adventurous pup, along with her brothers, and always gave her mom a headache as she tried to keep up with them. Relic was never content, she was always asking questions and watching the pack. She loved to spar and play with anyone who would indulge her. She grew up to be a wonderful Tracker, just like her mother before her. Sometimes she jokes that she is way better than her mother ever was, but she does know otherwise and will often ask her for tips and tricks. Personality : She's a boisterous wolf and full of personality. She's a quick wolf, and knows how to be stealthy, but doesn't mind letting her presence be known when she isn't needing to be stealthy. She's just figuring herself out and what it is to be a part of the pack and loves that she's among everyone and contributing. She may be a little judge mental on the "pack member" role and sometimes sees them as useless but she has deep respect for older wolves, especially the warriors. She sees them as all knowing and must have all sorts of secrets and generally just admires them. She's known to have little crushes here and there and is a little, well, boy crazy. She often thinks about what it will be like one day to have pups and be a mother and admires the mothers of the pack too. She can have jealous tendencies and can can be like a snippy hormonal teen at times, as she's only just become an adult. Extras : She is Kize's daughter. Background : Kize wasn't born in the pack, but she has been there for a long while. Her parents grew old in the pack and she met the love of her life in this pack. She has pups to help the pack grow, thought her own have left to follow their own paths. She doesn't mind, after all Relic decided to stay with her. She adores her daughter, she reminded her so much of her father and loves her all the more for it, thinking that Kuruk would be proud to see how much his daughter had grown. In her golden years, Kize and her mate were quite the pair. He was a hunter and she a tracker, they worked together very well and most of their hunts were very successful. She is very warm and motherly to her daughter and is kind and gentle in nature, but much like her daughter she has quite the temper. In fact, it is more that people know to keep an eye on Relic's temper because it rivals her mother's who can turn around in a blink of an eye and rip someone a new one. Personality : These days in her elder years she is quite impatient and won't put up with much. Pretty much the only one she won't have a temper with is the higher ranking wolves, but anyone else she'll snap to respect their elders. She sees herself above certain wolves, especially when they're much younger than she. She is kind and gentle to Zuya, as with anyone of the alpha linage. And will also proceed to snap at anyone who she might think disrespects him or the siblings. Really, she kinda just enjoys barking at anyone she can. The only time she isn't grumpy, is when she's fully fed and enjoying the company of her daughter or other elders. She also likes talking about some of the hunts she's been on, or some outrageous tracking story that one might question really happened. But she never talks about her beloved mate, she misses him dearly and thinks about him often and misses him very much. Extras : She's like a batty old lady, but an enduring one and isn't that crazy. She just likes to pretend she is because she's old and wants to have fun. Hi :) I'd like to join, but this would be my first role-play and I'm not sure what the rules are. Do I simply create a character, post her to have it approved, and then jump in? Yup c: The rules are posted in the main roleplay here (click). I would suggest bookmarking the Main Thread. Thanks! I will take some time to flesh out a character I have in mind and post him here soon. Background: Zander was born into the pack. His mother and father left to another pack when Zander was coming of age, and all of his siblings besides his brother Kythe followed them. Zander and Kythe had always been close, despite their intense rivalry as they grew up, and it was natural for them to stick together. Both brothers were intent on their goal on becoming the packs strongest warrior, and spend much of their youth 'training' and sparring to see who was strongest. As they aged, Zander became the more adept of the two, growing to be the stronger and larger wolf. One morning, during one of their usual sparring sessions, Zander exerted too much strength and Kythe went tumbling into a ditch. Kythe hurt his hind leg, and since then is slightly lame. Zander continued in his goals towards becoming a strong warrior without Kythe, although they remained close. Personality: Hot headed, to the point of being explosive and headstrong. Zander's dreams of grandiosity sometimes overwhelm him, and he tries (occasionally in vain) to hold onto reality and remember to be aware and empathetic to those around him. He's a very large, powerful wolf, and can resort to intimidation to get his way. He is fiercely loyal and protective of his own, and when given a job is responsible and dutiful. When calm, he is polite and serious--Zander isn't one for small talk. Although he is interested in having a mate, he feels it's a distraction and is therefore cautious around females. 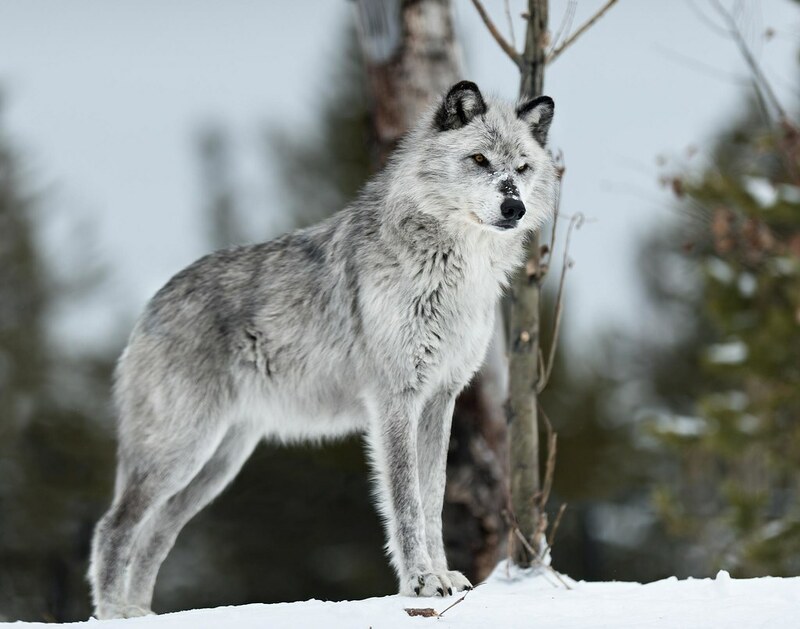 He holds quiet ambitions to become Alpha, either of this pack or of perhaps of branching off and creating his own. Extras: Zander is Kythe's brother. Background: Kythe has always felt second best. Since he was small, he engaged in losing battles with his brother Zander as they sparred and tested who was strongest. However, this never discouraged Kythe, and he pushed on to be his best. After being pushed into a ditch by Zander, he broke one of his hind legs, and since then has had a slight limp. His dreams of being a strong warrior evaporated, and now he struggles to find a sense of purpose. 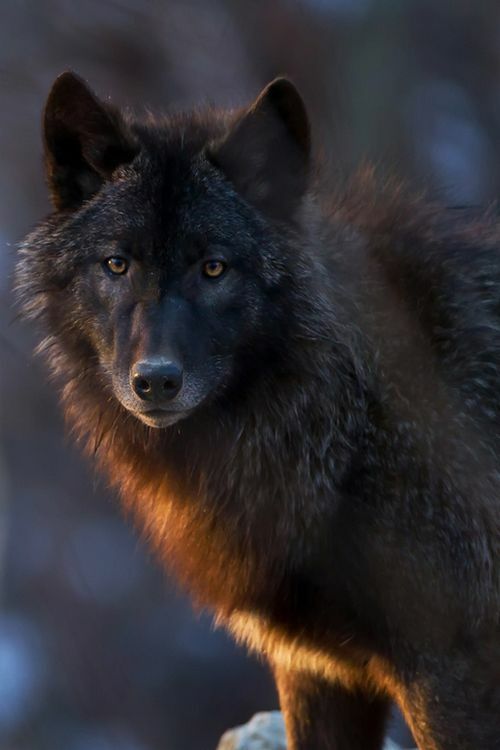 After his accident, he spent most of his time either hanging around with other members of the pack, or taking walks around the forest, and finds comfort in the company of others. Personality: Kythe is lighthearted and can put a positive spin on any situation. His energy and warmth is contagious, and consequently, he is generally well liked. He prefers to spend most of his time in the company of others, and becomes restless when alone. Kythe is always knee deep in whatever gossip is going around the pack, and enjoys spreading it and watching whatever calamity ensues. He has an abundance of energy and is spritely from the time he wakes up until late into the night. All of this energy sometimes gets put to bad use, and he has been known to stir up trouble. His streak of immaturity can be annoying at best, and dangerous at worst, as his devil-may-care attitude can put him in dangerous situations. He’s a flirt, but the seriousness of having pups and being saddled with responsibility is off putting to him. Extras: Kythe is Zander’s brother. You may go ahead and post them both in the character thread and you're also free to post within the rp.